The following post is from Kids Discover’s President & CEO Ted Levine. It originally appeared in Education Week. Trendy approaches to teaching come and go, but some of them stick around. 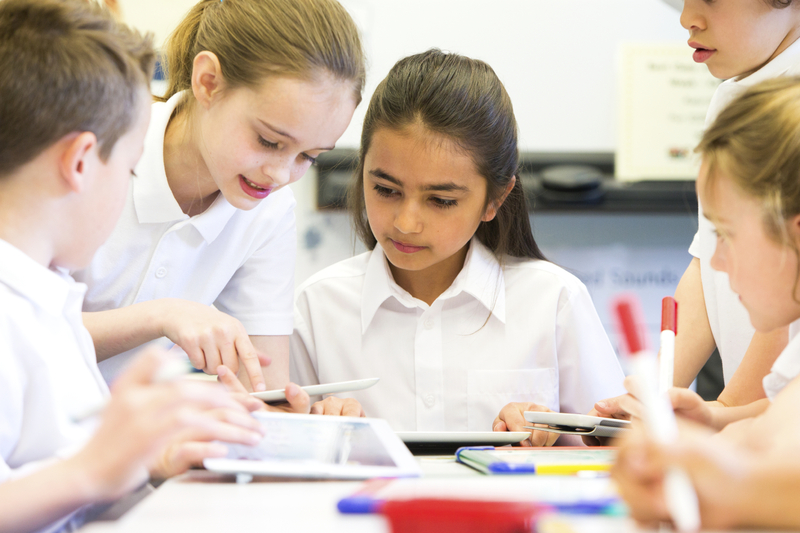 Inquiry-based learning, for example, is no longer a trend–it’s the dominant mode of instruction for many educators around the country. Inquiry-based learning gives students a choice about what they will study, which leads to greater engagement. For educators who are new to this model, this article by Terry Heick lays out the four phases of inquiry-based learning (interaction, clarification, questioning, and design) and also suggests several apps that support teachers and students each step of the way. Speaking of apps, more and more of today’s students have access to web-connected devices, which means that the information-gathering phase of research projects is easier and richer than it was in the days of the encyclopedia. The challenge for teachers now is to provide enough guidance to keep students on track, but not so much that they feel like they’ve lost ownership of the project.This article by fourth-grade teacher Georgia Mathis offers some best practices about the power of asking the right questions. Teachers used to be the gatekeepers of information, but these days conducting their own research is an important skill that students need to learn. Effective research includes sourcing information, weeding out what is not useful, and deciding what is. The best research projects–and research tools–reinforce these skills in addition to teaching the subject matter. Different students have different levels of preparedness for this kind of project, both in terms of technological proficiency and in the judgment needed to find and order the most important pieces of information. So one way teachers can guide all students is to find reliable sources that are written at an appropriate reading level. Before we built Kids Discover Online, we did half a year of research with students and teachers. One of our key findings was that teachers want to give students curated sources that they can use to do their own research. In speaking with teachers during this research phase, we started seeing that educators actually have to give a lot of direction to make inquiry-based learning work. This was a big takeaway for us, and provided tremendous insight into how we could create a platform that put inquiry-based learning at the center of the learning experience. After much testing and feedback from several beta rounds, we’re excited about how educators are taking advantage of these features. Here are some specific examples of how educators are incorporating inquiry-based activities into their lessons. Kristine Scharaldi, an educator in New Jersey, incorporates inquiry-based learning into the study of world history. To develop understanding of ancient civilizations, students formulate questions, conduct research, interpret findings, and create artifacts to demonstrate their learning. Scharaldi posts and shares students’ questions on a physical “wonder wall” in the classroom and also digitally online using Padlet. Students do their research using various sources, including Kids Discover Online, which gives her students access to leveled text and multimedia such as video clips, 360-degree panoramas, maps, and other visual resources that support dozens of topics. Her students use Discover Map, a visual concept map that shows connections between different units and topics within the library, to explore categories and then find specific resources. She guides the class through peer instruction, group analysis, and collaboration. The unit culminates with the creation of 3D artifacts for a class museum exhibit. Like many of her colleagues around the country, McClintock Miller believes that student-led research is here to stay. “Inquiry-based learning is making a difference for our young people in so many ways,” she said.